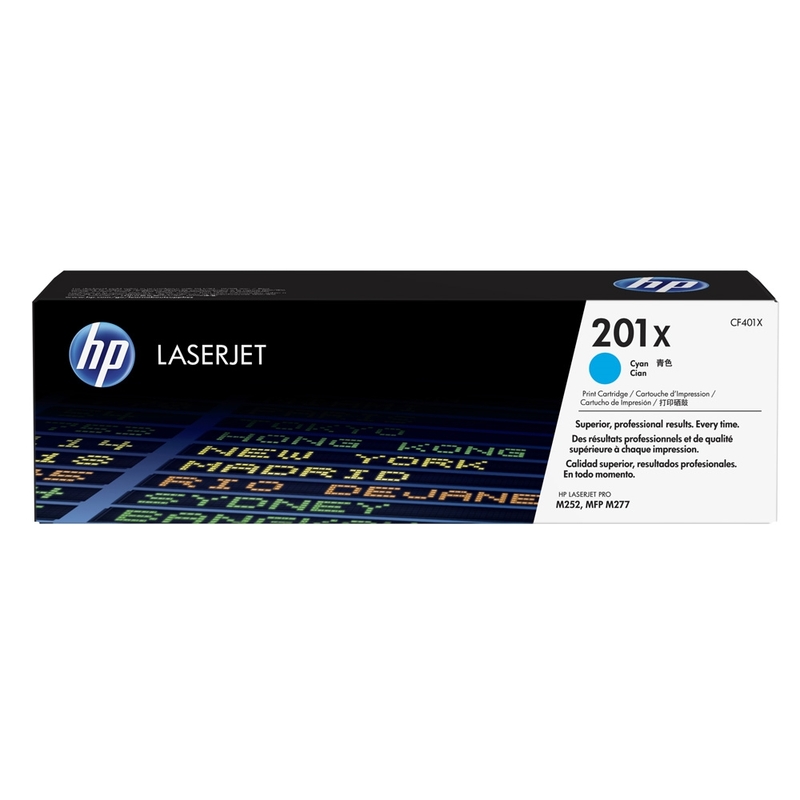 Genuine OEM HP Toner Cartridge, Cyan, High Capacity 2,300 page yield. HP part number: CF401X, 201X Cyan. Color Laser Toner Cartridge compatible with HP LaserJet Pro M252dw, MFP M277dw.